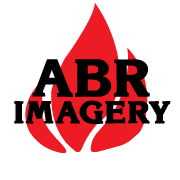 ABR Imagery, Inc. New ABR Imagery Store Coming Soon - ABR Imagery, Inc.
We at ABR Imagery have been working on a new Ecommerce site to strengthen our ability to better serve you, the customer. Bear with us as we continue to develop this project. And in the future, expect bigger and better things from ABR as we work towards better serving you, the customer. In the near future you will be able to conveniently place all orders on our website. You’ll never have to worry about calling again! During this time, please, remember that we at ABR Imagery are the #1 supplier for you glass needs. If you are a professional pipe blower, or an amateur playing with pendants and Opals, we have you covered. Amateurs, we have a sample glass blowing video of a large vessel.